Like the MacBook Pro before it, the MacBooks are now available from ColorWare. 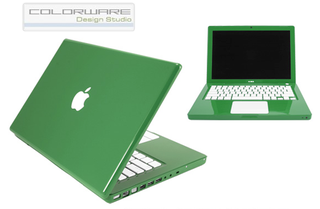 You can paint your MacBook one of 23 colors and it will ship to you within 2-3 weeks. Great if you really hate White or Black, or if you just want to be "different". Get yours now for $1,749.